My recently published book, In the Ring and on its Feet – PAF in the 1971 Indo-Pak War, was commented upon by a former Chief of Staff of the Indian Navy​ a few days ago in an article on a web portal ‘The Print’. Though Admiral Arun Prakash was the Chief of Naval Staff, he had a unique career, for he served as a fighter pilot flying Hunters during the 1971 War, while on deputation with the IAF. "Disregarding the counsel of wise men, from Herodotus to George Santayana, Indians have consistently ignored the importance of reading, writing and learning from history. So, when retired US Air Force Brigadier ‘Chuck’ Yeager, head of the US Military Assistance Advisory Group in Islamabad during the 1971 war, says in his autobiography that “the Pakistanis whipped the Indians’ asses in the sky… the Pakistanis scored a three-to-one kill ratio, knocking out 102 Russian-made Indian jets and losing 34 airplanes of their own…”, we are left fumbling for a response. Other Western ‘experts’ have alleged that, in 1971, the Indian Air Force was supported by Tupolev-126 early-warning aircraft flown by Soviet crews, who supposedly jammed Pakistani radars and homed-in Indian aircraft. Where does one seek authentic information about India’s contemporary military history? The Ministry of Defence website mentions a History Division, but the output of this division is not displayed, and it seems to have gone into hibernation after a brief spell of activity. A Google search reveals copies of two typed documents, circa 1984, on the internet, titled ‘History of the 1965 War’ and ‘History of the 1971 War’ (HoW), neither of which is designated as ‘official history’. A chapter of the latter document, deals with the air war in the Western theatre, and opens with a comparison of the opposing air forces. The 1971 inventory of the IAF is assessed as 625 combat aircraft, while the PAF strength is estimated at about 275. After providing day-by-day accounts of air defence, counter-air close support and maritime air operations, the HoW compares aircraft losses on both sides, and attempts a cursory analysis of the air war. This is the phrase that Pakistani Air Commodore M. Kaiser Tufail (Retd) has picked up for the title of his very recent book: “In the Ring and on its Feet” [Ferozsons (Pvt) Ltd, Lahore, 2017] about the PAF’s role in the 1971 Indo-Pak war. Commissioned in 1975, this former Pakistani fighter pilot is a historian and bold commentator on strategic affairs. Currently unavailable in India, the book may, prima facie, be accepted as authentic, because the author asserts that in two of his appointments, he was the “custodian of PAF’s war records”, which he was, officially, permitted to access in writing the book. Tufail starts with an attempt to dispel the “ludicrous Indian fabrication about Pakistan having initiated the war”, and offers the thesis that since war was already in progress, the ineffective 3 December PAF pre-emptive attacks were merely “first strikes” meant to overburden the IAF’s retaliatory capability. Apart from this half-hearted attempt at obfuscation, the rest of Tufail’s narrative is refreshingly candid, free of hyperbole and – one hopes – reliable. Having served in an IAF fighter squadron during the 1971 war, I was fascinated by Tufail’s account, and share a few of his frank insights into wartime events in this article. Tufail suggests that the wartime PAF Chief, Air Marshal Rahim Khan, was an inarticulate, short-tempered and lacklustre personality, who, at this crucial juncture, chose his two most important advisors – the ACAS (Operations) and the Deputy Chief – from the ranks of transport pilots! His problems were compounded by low service morale, due to the massacre of 30 airmen in East Pakistan and defections by Bengali PAF personnel. Tufail provides a tabular account of both IAF and PAF aircraft losses, with pilots’ names, squadron numbers and (for PAF aircraft) tail numbers. To my mind, one particular statistic alone confirms Tufail’s objectivity. As the squadron diarist of IAF’s No.20 Squadron, I recall recording the result of a Hunter raid on PAF base Murid, on 8 December 1971, as “one transport, two fighters (probable) and vehicles destroyed on ground”. In his book, Tufail confirms that 20 Squadron actually destroyed five F-86 fighters in this mission – making it the most spectacular IAF raid of the war! Particularly gratifying to read are Tufail’s reconstructions of many combat missions, which have remained shrouded in doubt and ambiguity for 47 years. Personally, I experienced a sense of closure after reading his accounts of the final heroic moments of 20 Squadron comrades Jal Mistry and K.P. Muralidharan, as well as fellow naval aviators Roy, Sirohi and Vijayan, shot down at sea. Tufail also nails the canard about Soviet Tupolev-126 support to IAF, and describes how it was the clever employment of IAF MiG-21s to act as ‘radio-relay posts’ that fooled the PAF. Coming to the ‘final reckoning’, there is only a small difference between the figures given in the HoW and those provided by Tufail for IAF losses; both of which make nonsense of Yeager’s pompous declarations. According to the tabulated Pakistani account (giving names of Indian aircrew), the IAF lost 60 aircraft. The HoW records the IAF’s losses in action as 56 aircraft (43 in the west and 13 in the east). However, a dichotomy surfaces when it comes to PAF losses. While Tufail lists the tail numbers of only 27 aircraft destroyed, the HoW mentions IAF claims of 75 PAF aircraft destroyed, but credits only 46 (27 in the west and 19 in the east). Using ‘utilisation rate’ per aircraft and ‘attrition rate’ as a percentage of (only) the offensive missions flown by both air forces, the HoW declares that the IAF’s utilisation rate being almost double, and its attrition rate being half that of the PAF, “…had the war continued, the IAF would certainly have inflicted a decisive defeat on the PAF”. Adopting a different approach, Tufail concludes that the overall ‘attrition rate’ (loss per 100 sorties) for each air force as well as aircraft losses, as percentage of both IAF and PAF inventories, are numerically equal. Thus, according to him, “…both air forces were on par… though the IAF flew many more ground-attack sorties in a vulnerable air and ground environment”. He ends his narrative on a sanguine note, remarking that, “The PAF denied a much stronger IAF …the possibility of delivering a knock-out punch to it”. Air Commodore Tufail’s book clearly demonstrates that there are at least two good reasons for writing war histories; lessons are learnt about the political sagacity underpinning employment of state military power, and militaries can test the validity of the Principles of War. Sensible nations, therefore, ensure that history is not replaced by mythology. Like Kaiser Tufail, there is a whole new crop of young scholar-warriors emerging in India too, eager to record its rich military history. But as long as our obdurate bureaucracy maintains the inexplicable ‘omerta’ vis-a-vis official records, this deplorable historical vacuum will persist." 1. I clearly conceded in the Preface that we lost the war, so I find the surrender picture out of place, though it may have been inserted by the publisher to rub it in. 2. As to the initiator of the war, how can the Indian invasion of East Pakistan on 22nd November be denied, or is it that an invasion must have the ingredients of air strikes and armour assaults? I touched upon the much-flogged point that Indian writers regularly harp upon – PAF’s pre-emptive strikes. We were not pre-empting an Indian invasion (which had already taken place), so technically it was not a pre-emption per se. It was just opening up another front. Therefore, the comment about a “half-hearted attempt at obfuscation” is rather strong and unwarranted. 4. I never mentioned that Rahim Khan’s ‘problems were compounded by low service morale’, though I did say that, “Two incidents that occurred prior to the 1971 war – which are sure to have rankled Air Marshal Rahim and exacerbated his wrath – need to be seen in context of their subsequent impact on the mind-set of the C-in-C and his Air Staff.” I have, regrettably been misquoted. 5. Your comment that, “all PAF Western-origin fighters carried Sidewinders or R-530s” needs to be tempered with a clarification that only about 75% of the Sabres carried Sidewinders, and there was only ONE sortie flown on the Mirage III with the useless R-530. 6. About Chuck Yeager, all I have to say is that he was a big mouth and a braggart. If you have read his book, he makes a preposterous claim that he had exceptional vision, and could easily spot an aircraft as far as 50 miles ahead. Now, as for the bit where he states, “I also worked with their squadrons and helped them develop combat tactics,” it is utter balderdash. All he did was to fly a couple of sorties on the Sabre in Peshawar, due to his friendship with Air Mshl Rahim, both having a penchant for hunting and fine Scotch. 7. Admiral’s Observation: “However, a dichotomy surfaces when it comes to PAF losses. While Tufail lists the tail numbers of only 27 aircraft destroyed, the HoW mentions IAF claims of 75 PAF aircraft destroyed, but credits only 46 (27 in the west and 19 in the east).” My Comment: I have given the tail numbers of 22 aircraft that the PAF lost in the West, while tail numbers of the five lost in East Pakistan were not available, as the squadron authorisation book, as well as individual pilot log books were left behind in Dacca. I am willing to challenge any Indian historian or military person to share with me details of lost PAF aircraft that number more than 27. In fact, if I were to obfuscate these losses, I would have easily covered up at least three Sabres in the Murid raid by IAF’s 20 Sqn that the IAF did not know about, or the F-6 aircraft shot down by Wg Cdr S S Malhotra over Lyallpur that the IAF was never sure about, or a Sabre which ran out of fuel and was lost while chasing IAF Hunters. 8. Admiral’s Observation: “Using utilization rate per aircraft and attrition rate as a percentage of (only) the offensive missions flown by both air forces, the HoW declares that the IAF’s utilisation rate being almost double, and its attrition rate being half that of the PAF, …had the war continued, the IAF would certainly have inflicted a decisive defeat on the PAF”. My Comment: Why should HoW have cherry-picked only the offensive missions? Sir, EVERY mission is to be counted for determining the attrition rate, so let us be fair in conceding that the IAF and PAF had an EQUAL attrition rate at the end of the war. I have taken the number of sorties flown based on the ‘Official History of the 1971 Indo-Pak War’ by S N Prasad, which was ‘leaked’ to Times of India (by the government, of course) in 2000. 9. 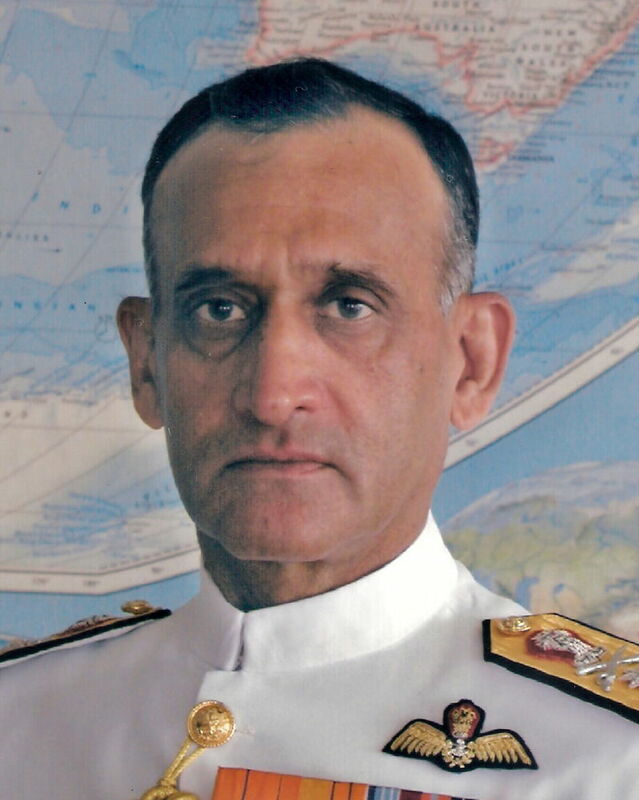 Admiral’s Final Observation: “He ends his narrative on a sanguine note, remarking that, “The PAF denied a much stronger IAF …the possibility of delivering a knock-out punch to it”. My Comment: Yes sir, SANGUINE! Why not? To force a draw on an opponent two-and-a-half times bigger calls for a drink. Bottoms up, Admiral! 1. I would certainly not have used that particular picture, but media people will do as they please. 2. While 22nd November 1971 may be a cardinal date, whose technical/historical implications could be argued interminably, 26nd March 1971 is also considered significant in the Indian narrative vis-a-vis the succeeding chain of events. As adversaries in a war, we are, each, entitled to our own and respective perceptions and we should leave it at that. But as a historian, you may just like to take note of the firm Indian belief that the 3rd December PAF air raids (whether technically ‘pre-emptive’ or not), were the opening gambit of a formal war on the Western front - that had remained quiescent till then. I remember Indira Gandhi broadcasting on radio that night that we were at war. 3. I do feel a twinge of regret that I may have caused you some embarrassment with my remarks about A/M Rahim Khan. Since I could not have reproduced the full text devoted to him, I did ‘cherry-pick’ your remarks on p. 40: “not given to articulation”, “... insipid enunciation of his plans for impending hostilities”, and “unduly quick-tempered”. I did not realize that my commentary would be read across the border, and hope that this will not harm the late Air Chief’s reputation in any way. 4. The ‘low morale’ comment was my own deduction, and I did not attribute it to you. 5. Your frank views about Chuck Yeager were enlightening! He just celebrated his 95th birthday, and I don't think we should pass them on to him!! 6. As far as statistics and conclusions are concerned, I do not have the data or background to offer authoritative comments. All I did was to cite SN Prasad, as well as your own account. Btw, Prasad’s work is also available on the Bharat Rakshak website. This article was published in 'Defence Journal', Aug 2018 issue. Abhi...in general the PAF planes (and pilots) were better. I read your article first time but I must say that you are a good writer so keep writing and keep sharing like this and keep it up! Really great to listen to objective, rational banter in the middle of media conjecture and plain propaganda. It is so unfortunate and tragic that the two nations are rivals, but given our trajectories, do we expect this rivalry to continue? And Trump policy is just expediting what was a gradual process, hopefully the powers-that-be understand the implications of their actions and policies. Wow. Simple and straight to the point. Well written sir. Excellent article. It is no surprise to see the cordiality of the discussion given that the gentlemen are from PAF and IN. One needs to understand that both the Indian and Pakistan armed forces are very similar in some ways, rooted in the British Indian Army heritage. On both sides, I suspect (speaking as a son of a retd Indian Army officer), the technical services - Air Force and Navy - are much more educated and with a global world view. This is partly due to the nature of the arms - an young officer in each of these services is commanding a multi-million dollar piece of machinery and therefore attuned to a higher sense of responsibility. These services, on both sides, are also very young, with lesser burden of tradition and history. The PA and IA on the other hand have a long and illustrious tradition. Their YOs (young officers) are brought up in that tradition of leading men to war etc but also of being men and generally raising hell etc. You have to go to Mhow etc in India to get a sense of what I mean. Introspection etc come less easily to these folks. Their is also a tendency (at least in the IA) to mock the IAF and IN as lacking traditions or the style that goes with being an officer. Regrettably the Pakistan Army is doubly screwed with its own 60 odd year tradition of dominating the armed forces and the state. This is where the armies are so dramatically different that it will be hard to overstate its impact. In India, hardly anyone knows the name of the Army Commanders (equivalent to the Corp Commander) or even the number of Commands - while in Pakistan, the change of command is reported prominently in the news. Even the meeting of the Corp Commanders and their statements are newsworthy. While the current Indian Army Chief is weirdly outspoken (as was VK Singh), this is not well liked both within the India armed forces and without. Looks like he is angling for a Governorship or political role. Finally, I echo the Admiral's hope of better military history writing in India.